Unique (Since 1995) Pte Ltd offers leather restoration service using tested products proven to be some of the best on the market. All leather comes from one source - animals. Different animal skins are used to produce a variety of looks in leather. This leather needs to be tanned and processed before certain sections can be selected for use on a particular application. This process determines the type of leather that is available. After a period of time in the harsh Singapore climate, oils in the leather will dry out and evaporate, even when the leather is not regularly used. 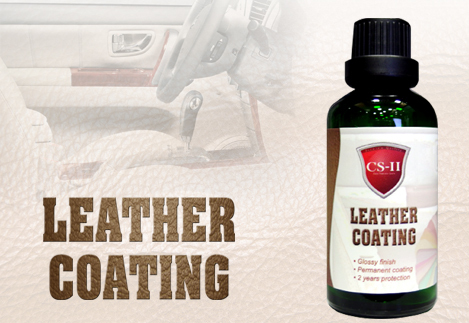 Our CS-II Leather Care Kit enables the owner to keep the leather soft and flexible by replacing the oils in the leather. To maintain the softness and flexibility of the leather, regular cleaning of the leather and application of our Leather Care Kit should be performed, usually about once every three months. Stains are unavoidable. Children with markers, pets, spills, "dye transfer" and many other accidents cause leather to lose its appeal. Our Ink and Stain Remover offers owners the best opportunity to remove most stains from leather without damaging the finish. If the stain cannot be removed with the Stain Remover, it might be necessary to replace the finish over the stained area. Unique's Leather Re-Coloring Kit enables owners to do this. It is depressing when an expensive piece of leather becomes damaged. Nature can no longer fix the problem, but you can! Using state-of-the-art resins and polymers, it is possible to permanently bond damaged leather back to itself, leaving little trace of damage. By choosing the proper products, owners can repair this damage and control the amount of "scarring" that is left, even eliminating it altogether! The manufacturer's finish on leather can become damaged, faded or worn, even if proper care is taken. When this happens, the surface area must be prepared, and the proper coloring materials applied. Leather Restoration is the process of refurbishing leather after they have been affected by fire, smoke, water, mold, or general wear and tear. Restoration specialists use technologies and procedures to restore leather items to their pre-loss condition. These processes are specifically designed and tailored to address the challenges posed by particular types of damage. In addition to concerns with an item’s appearance, considerations such as smell and structural integrity are taken into account. The smells associated with fire and water related disasters are often dealt with by subjecting the item(s) to ozone treatments that break down the foreign particles that cause the odor.